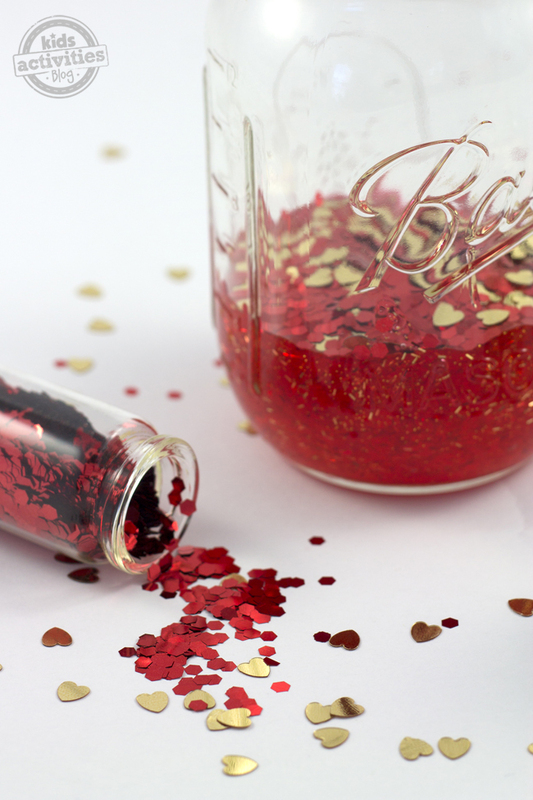 Let’s make a Valentine Sensory Bottle for a fun activity that doubles as a calm down jar or a DIY gift for friends and family. Sensory bottles are great for entertaining kids, and can have a calming effect when they watch the fun items flow around inside. 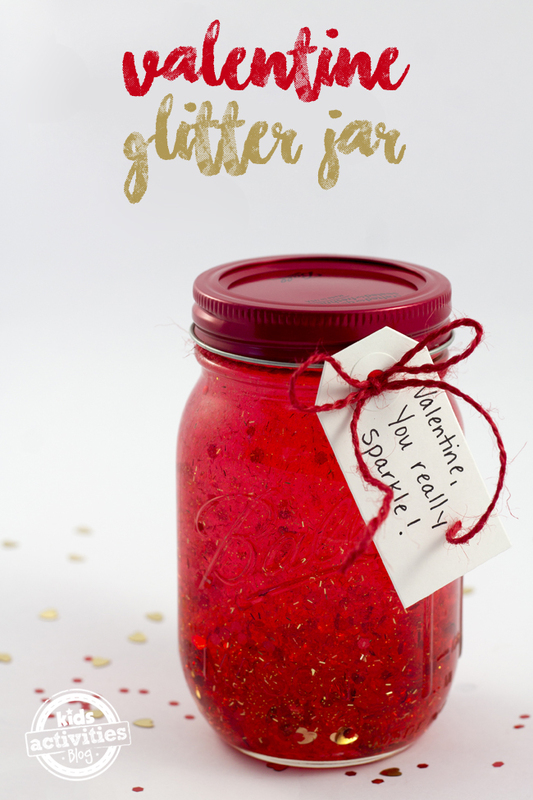 We wanted to make one that was perfect for Valentine’s Day and I love how this turned out! 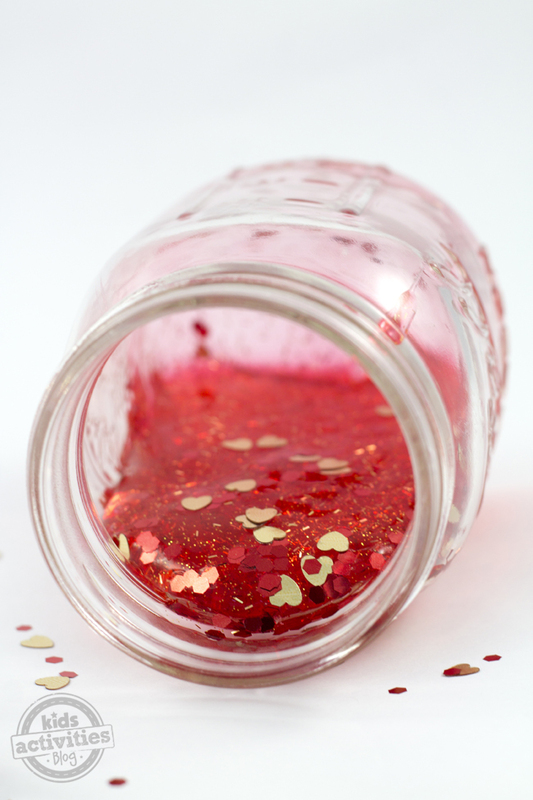 Pour half a bottle of red glitter glue into the jar. 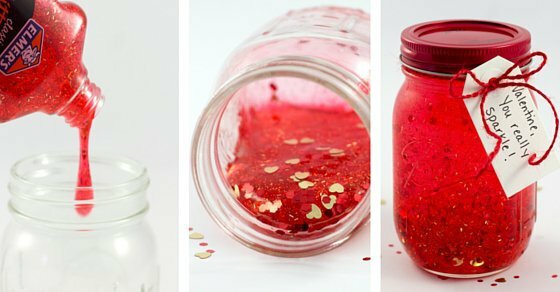 Add extra glitter, as much as you desire. 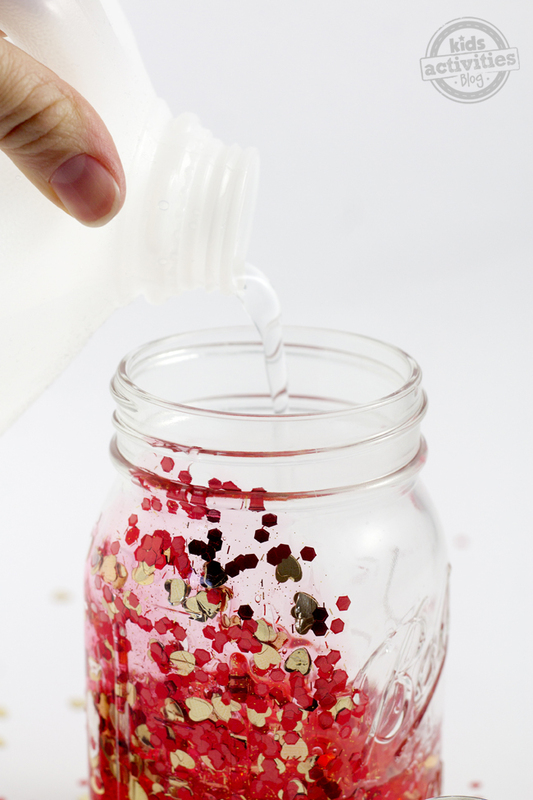 Fill the remainder of the jar with distilled water. Screw on the lid. Shake and enjoy. 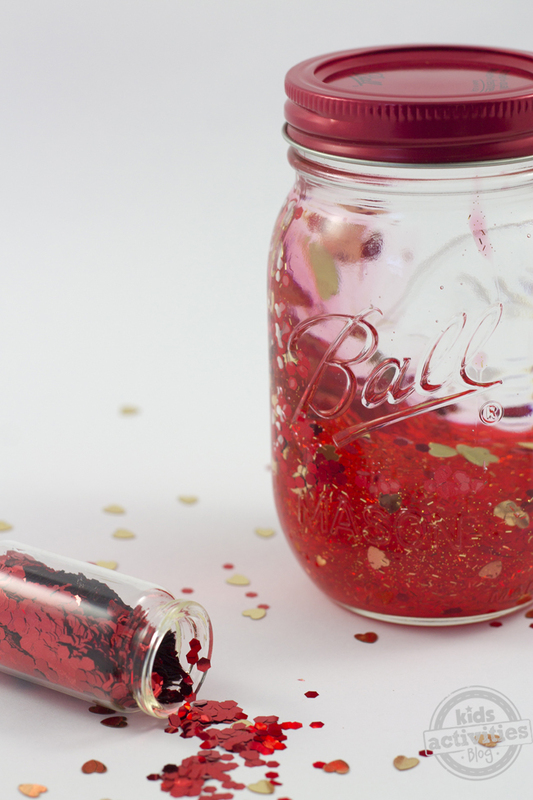 For younger kids, make sure you seal the mason jar with hot glue, gorilla glue, etc. If your kids love this sensory bottle activity, you might also want to check out our Glowing Sensory Bottle for Bedtime. 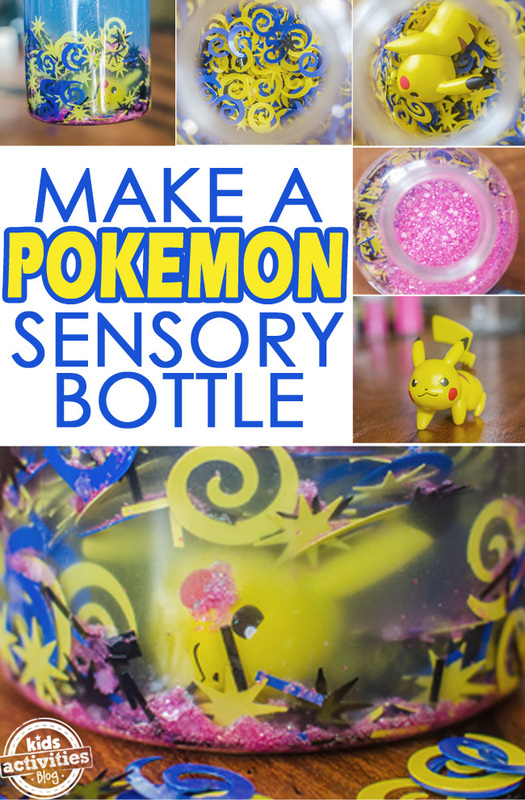 Or this super cool Pokemon Sensory Bottle! And if your kids are obsessed with the movie Finding Nemo, then they’ll enjoy this Finding Dory Sensory Bottle. 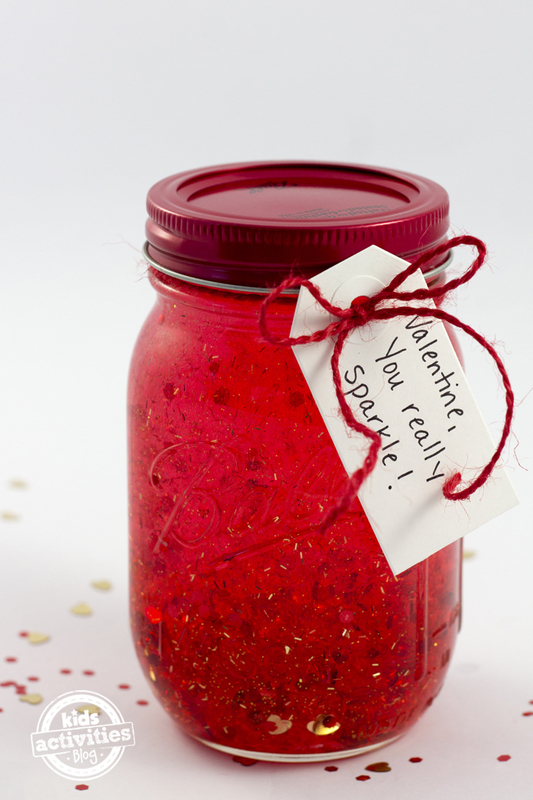 Related: This is one of our favorite Valentine’s Day crafts and activities. 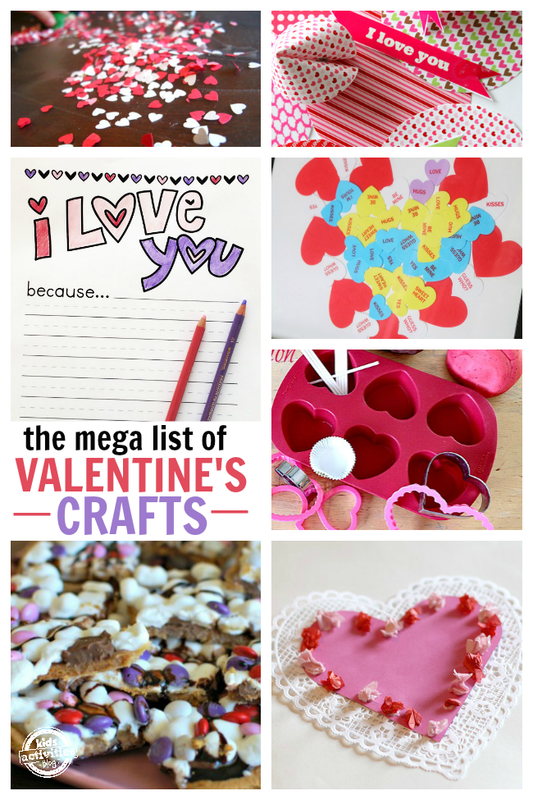 You could even make a smaller version to give for class valentines for school — wouldn’t that be cute!? For more fun kids activities, please follow our Facebook page!